This exhibition is a reflection of five Canberra artists’ experiences of water, fleeting moments of nature, seaside architecture, travel and separation. 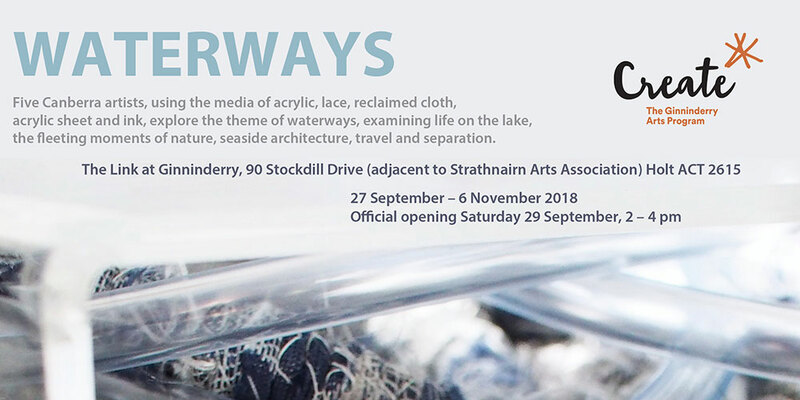 Victoria Cotton, Sharon Peoples, Prue Power, Rozalie Sherwood and Steve Tomlin examine waterways through paint, ink, stitch and textiles. The locations range from our local waterways, including Lake Burley Griffin, the South Coast and the English seaside.